The Mecca Declaration of 2006 was signed by 29 Iraqi Sunnite and Shiite clerics. It demanded an end to sectarian violence in Iraq. Six years on, the violence and political infighting continues unabated. The Mecca Declaration of 2007, signed by Palestinian Authority President Mahmoud Abbas and Hamas political leader Khaled Meshaal, committed to the formation of national unity government. Five years on, Fateh and Hamas are still trying. The Mecca Declaration of 2012, expected tomorrow, would probably call for negotiated solutions of the Syria crisis and Iran’s nuclear program. But what would certainly need serious disambiguation is the document’s wording of the ways forward to wrest Syria from President Bashar al-Assad’s clutches and a blitz on Iran’s nuclear work. The two-day emergency summit meeting of the Organization of Islamic Cooperation (OIC), called by Saudi Arabia’s King Abdullah earlier this month, opened in Mecca today. A preliminary meeting of IOC foreign ministers in Jeddah agreed to suspend the membership of Syria from the international body, which comprises 56 member states plus the Palestinian Authority and aims to represent Muslim interests on the world stage. “I am openly against the suspension of the membership of any country [from] any organization,” Iranian Foreign Minister Ali Akbar Salehi told reporters in Jeddah. “By suspending the membership, this does not mean you are moving towards resolving an issue. By this, you are erasing the issue,” he said of the 17-month Syria bloodletting. “Every country, especially OIC countries must join hands to resolve this issue in such a way that will help peace, security and stability in the region,” he added on the eve of the summit in Mecca. In the optimists’ corner is columnist Rajeh el-Khoury, who writes for the Lebanese daily an-Nahar. In his view, the upcoming Mecca Declaration of 2012 will open the way for Lakhdar Brahimi to receive the Syria troubleshooting baton from Kofi Annan. In the pessimists’ corner sits Abdelbari Atwan, the publisher and editor-in-chief of the London-based pan-Arab daily al-Quds al-Arabi. 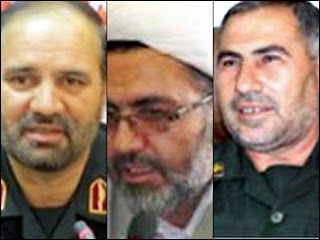 Iranian President Mahmoud Ahmadinejad will be the summit’s megastar. His every move and word will be closely scrutinized by Arab, Muslim and absent Western leaders… Should he utter any words on Syria, they would be intensely analyzed. Any threats he makes against Israel will make banner headlines across the world. The number of martyrs in Syria will swell significantly as insurgents try to draw the summit’s attention and the regime seeks to show that it remains in control of the situation on the ground. “Very briefly,” writes Atwan, “we live, as Arabs and Muslims, outside the world’s action circle. We are a marginalized, worthless and ineffective lot. World powers conspire against us, compete to grab our wealth and plunder our cash, oil and gas. They divide us along confessional and ethnic lines to facilitate the execution of their schemes. Sitting in the realists’ corner – without touching on the OIC summit from far or near -- is Kuwaiti political sociologist and analyst Dr. Mohammed Rumaihi. He writes today for the Saudi daily Asharq Alawsat about the Arab Shiites’ stance on the Arab Spring. 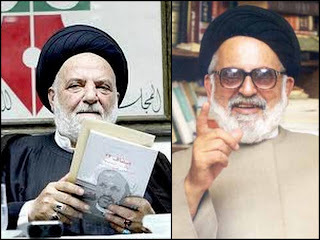 Rumaihi’s comments sing the praises of two prominent Lebanese Shiite clerics – Mohammed Hassan al-Ameen, a scholar and theologian, and Hani Fahs, a member of the Supreme Shiite Islamic Council in Lebanon. The two sayyeds issued a joint statement last Thursday fully endorsing the Arab Spring uprisings, particularly in Syria now. “We declare, unambiguously and without bellicosity, our unequivocal support for the Syrian uprising, much as we backed the Palestinian, Iranian, Egyptian, Tunisian, Yemeni and Libyan revolutions and sympathized with the reformist current and the popular opposition movement in Iran and the reform movements in Bahrain, Mauritania and Sudan,” al-Ameen and Fahs avowed in their written statement. Rumaihi’s think piece also comes in the wake of mounting signs of Iran, and its Lebanese cat’s-paw Hezbollah, playing an active military role against the opposition in Syria. A group of 48 Iranians abducted by rebels in Damascus earlier this month have turned out to be mostly Revolutionary Guards from West Azerbaijan province, presumably led by Brig. Gen. Abeddin Kharam. And video footage posted on YouTube overnight shows a Lebanese citizen telling his Free Syrian Army captors he was one of “1,500 Hezbollah snipers who entered Syria on August 3” to lend a hand to Syrian security forces. The man, who gave his name as Hassan Salim Mokdad, said he was abducted in Damascus. After its liberation, Iraq was supposed to become a democracy where citizens have equal rights. That’s not the end result we see today. Iraq has become a satellite state turning in Iran’s orbit in both religious and political terms. The final say as to who rules Iraq or does not is in Tehran, not Baghdad. And whereas post-Saddam Iraq was expected to oppose one-party rule in Syria, it joined Iran in trying to shore up a regime that kills its people. Hezbollah is supposed to represent the Mustadafin – or downtrodden – and to fight oppressors. But the party’s doings against the downtrodden in Syria are worse than Iran’s.